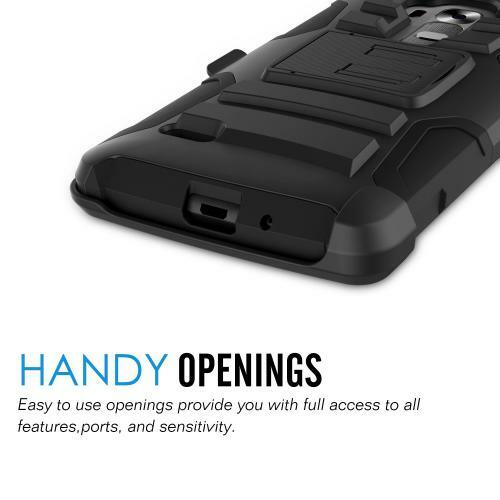 AccessoryGeeks.com | Black LG G Vista Dual Layer Hard Case w/ Kickstand on Black Silicone Skin Case; Includes Holster w/ Swivel Belt Clip | Free Shipping! LG G Vista Holster Case, REDshield [Black] Dual Layer Hard Case w/ Kickstand on Black Silicone Skin Case; Includes Holster w/ Swivel Belt Clip Looking to provide the ultimate protection for your LG G Vista Think about shielding it up inside this fashionable BLACK 2 layer case with a unique look! The dual layer technology enhances your LG G Vista by adding exceptional grip and impact resistance. 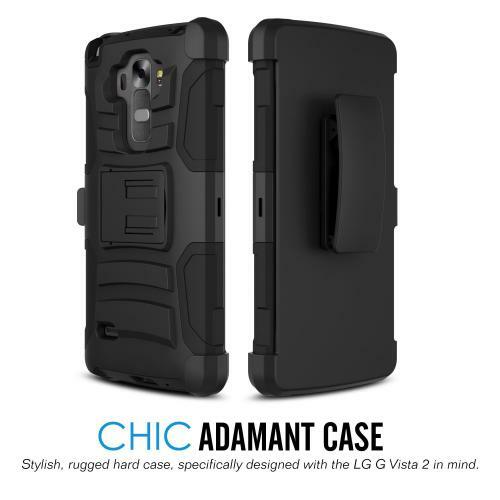 Looking to provide the ultimate protection for your LG G Vista Think about shielding it up inside this fashionable BLACK 2 layer case with a unique look! 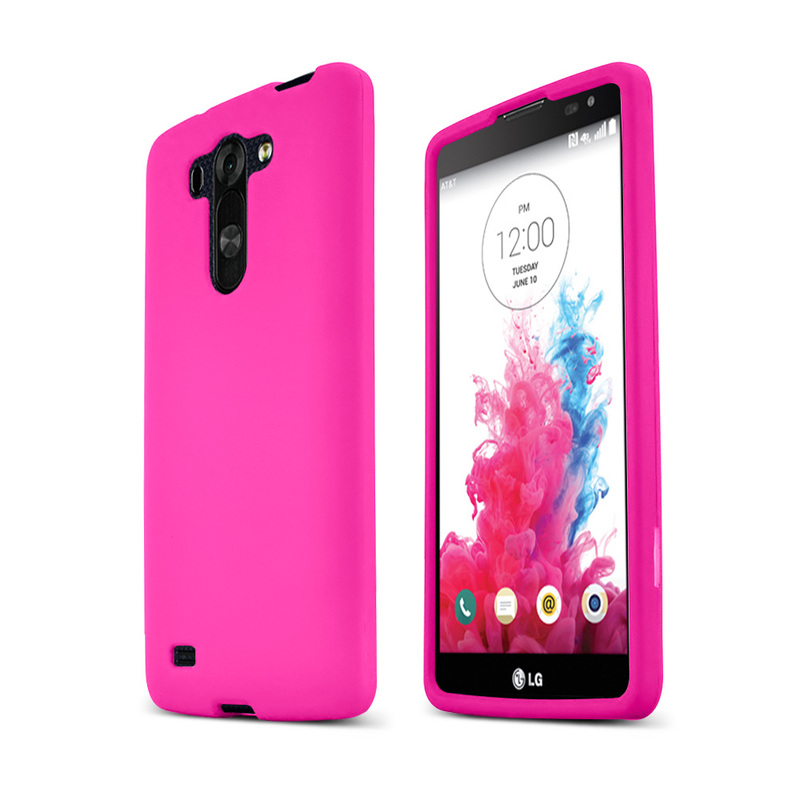 The dual layer technology enhances your LG G Vista by adding exceptional grip and impact resistance. Convenient and easy to apply on to your phone, take it everywhere to bring the spotlight on you and your unique LG G Vista! 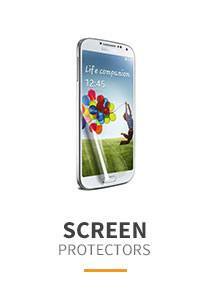 A great way of protection and it will prevent scuff and scratches from everyday wear and tear. 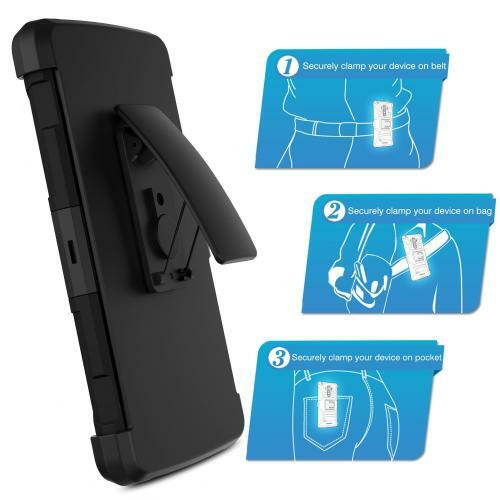 Super like the belt clip and kickstand for hands-free viewing. Beautiful! This belt clip holster is just what I was looking for. This is a sturdy, solid holster and the kickstand was an added bonus feature. Worth every cent for the protection! Very durable and I really like this case. 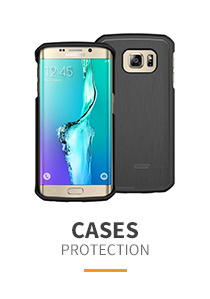 It provides maximum protection for accidental drops. I've dropped it more than a few times and still with good condition. Kickstand is bonus! Very user-friendly. The best ever phone case I have now owned. 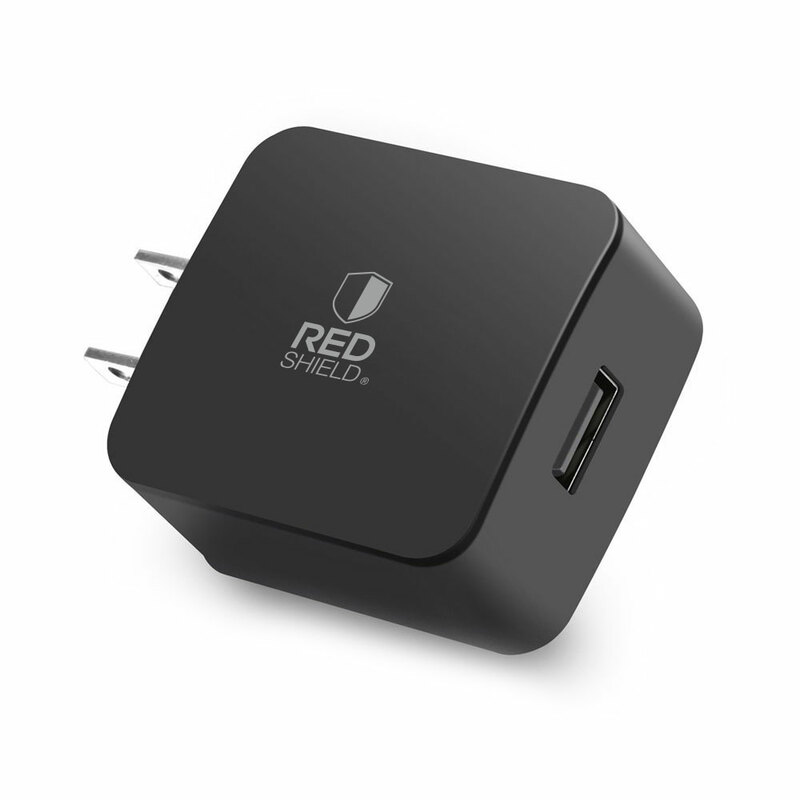 The belt clip is very durable and 180-degree rotation plus great kickstand for better viewing. Super love the design! Probably the best case I've ever had. Easy to grip the case and stronger than other case with belt clip holster. 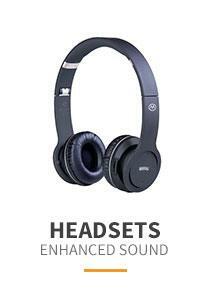 Love the design and the kickstand for hands free and better viewing. It helps my phone be protected from dropping and scratches. I love the rugged design, it feels and looks of very high quality. Highly recommended. I was really excited about this case, It's cute, rugged, durable and good protection. What an amazing case for the money! 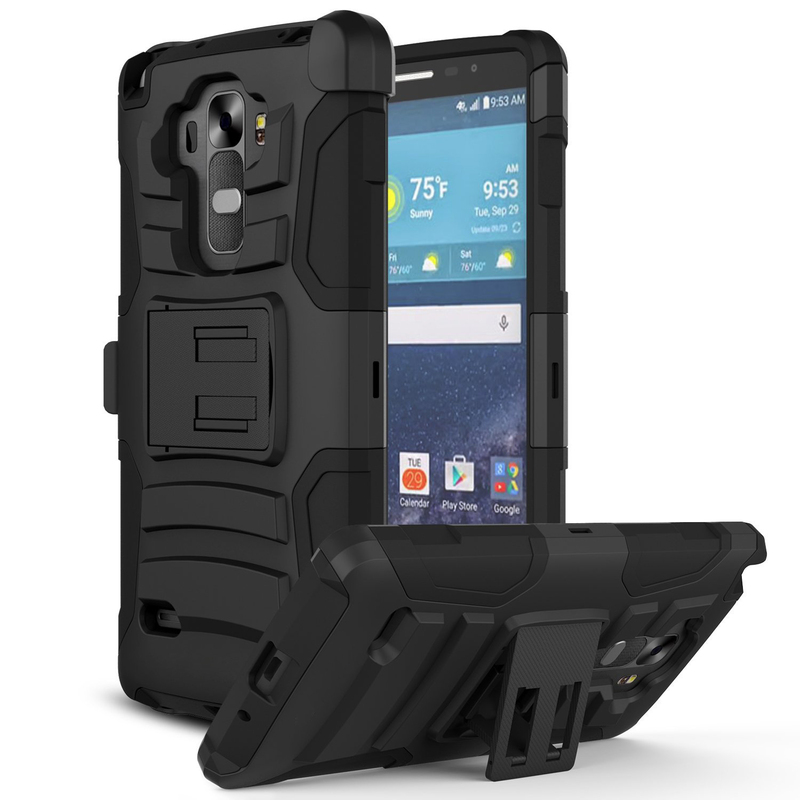 I recently got a new Verizon LG L3 cell phone and needed a good case with a holster, this product is feels and looks of very high quality. 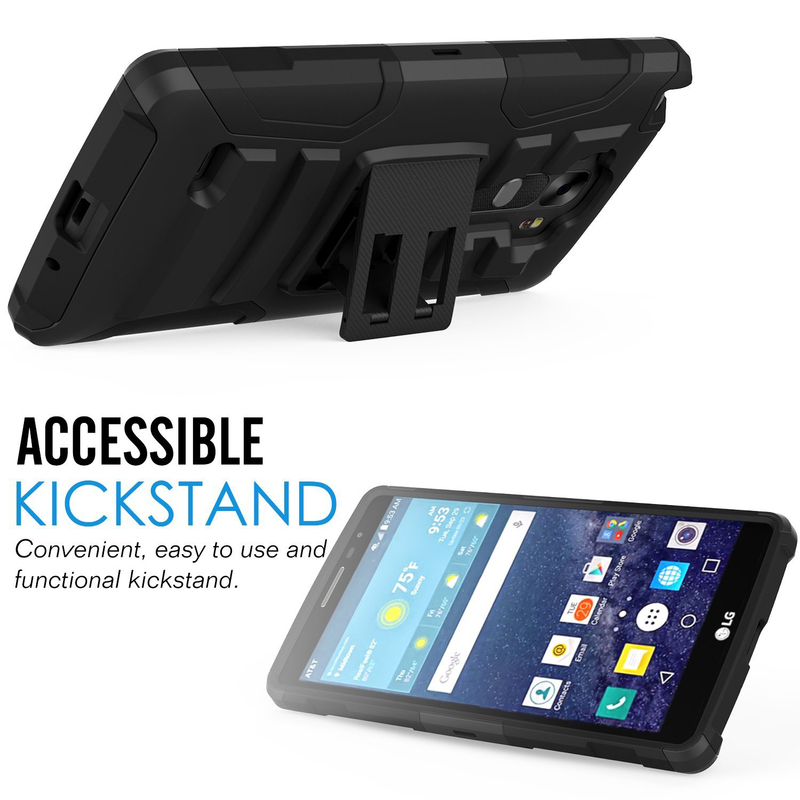 The kickstand allows both vertical and horizontal placement of the LG phones. It helps my phone be protected from dropping and scratches. The case fits the phone well and it seems well made. 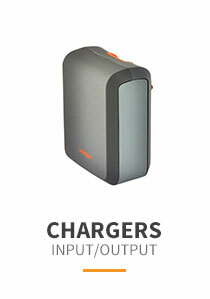 This is a great case and I am sure that if you get it you will be happy with your purchase. 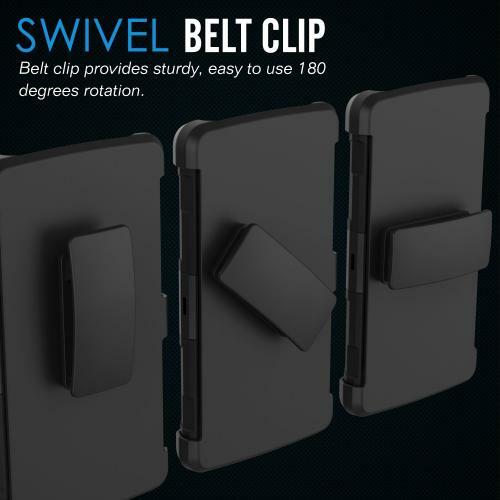 This was an excellent purchase if you want to clip your phone on your belt or have it fully protected in a purse or bag. 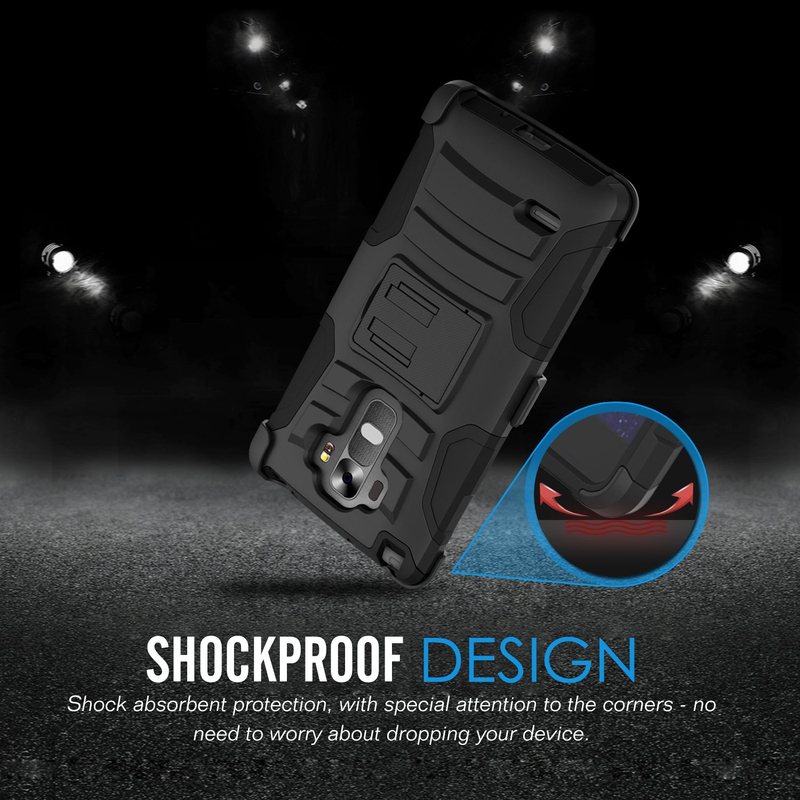 This is the best, slickest, easy to clean, & priced right case, compared to other brands and it offers great protection for the face of the phone protecting it from scratches. 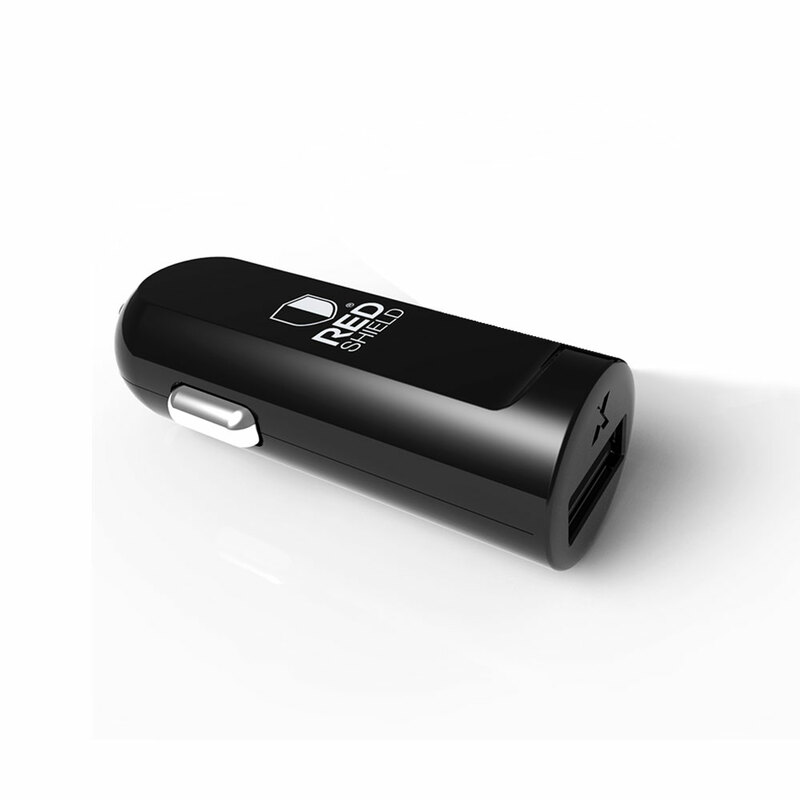 Also it easily snaps into the holder and is securely in place yet is easy to remove. It does offer some protection from drops. There is nothing I dislike @ the case, in fact i am thoroughly pleased with the overall appearance & protectiveness. I now have no fear of accidentally dropping the phone! I am 70 years old & my grip on things puts a damper on things! Now I know know my phone is protected! Fit our LG G Vista perfectly!!!! It is good quality! 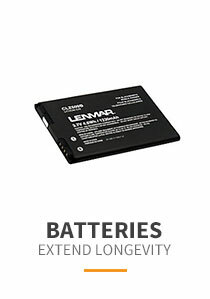 Definitely do recommend this to anyone looking for a case. As the 1st states I also have the same issue. However being a plastics engineer I found the issue. If you trim the silicon en each side of the clip it will then seat properly with no issues. 1 minute fix. The tabs I am talking about are the closest to the phone stand. If you put the phone in the case you will find it hard to get in in the resistance will be about half way in. those are the tabs I am talking about. I really love my new case. I would've given it 5 stars if the silicone wrap was a little more secure around my phone. 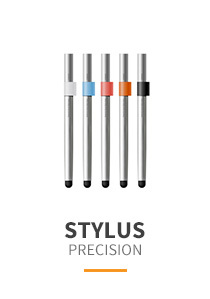 Over all a great product! It was delivered quickly as well which I very much appreciate.